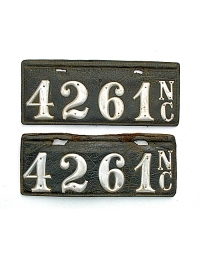 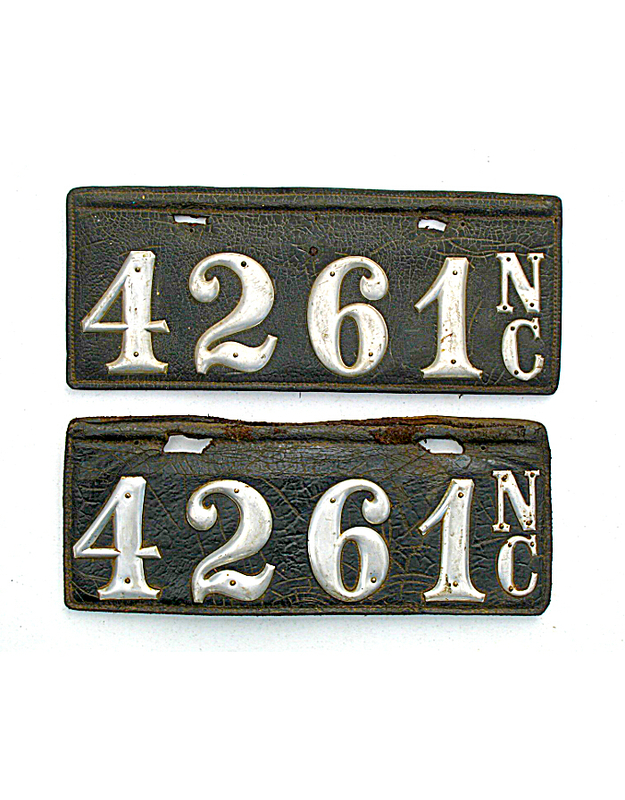 This state began requiring automobiles to be licensed in 1907, and continued with owner-made plates through 1913. 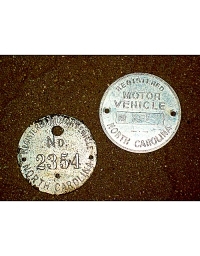 Motorists registering with the state received a numbered disc containing a serial number which was to made into a license plate. 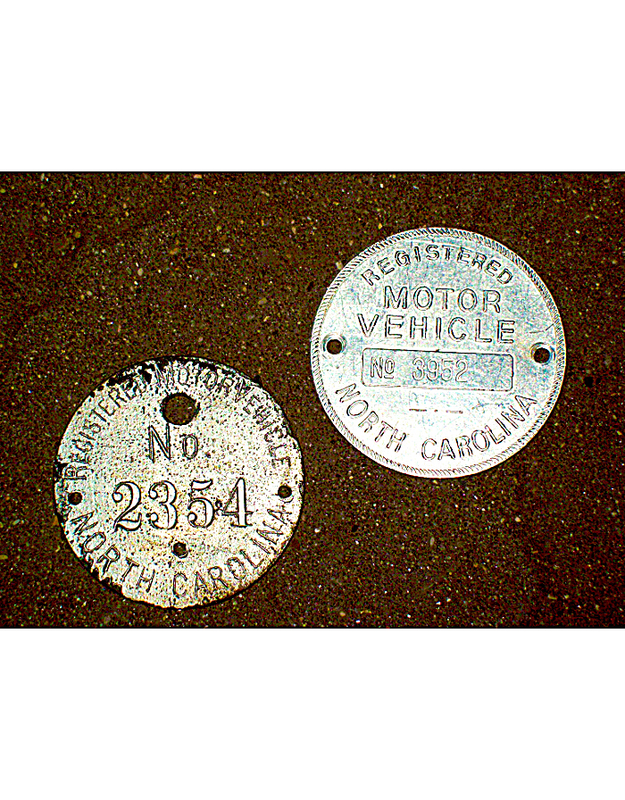 There are two distinct types of discs, as shown. 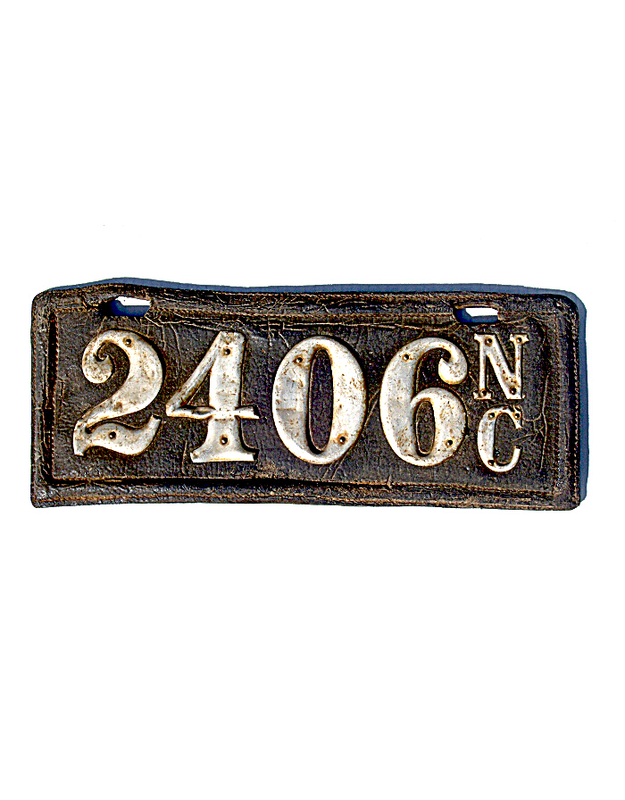 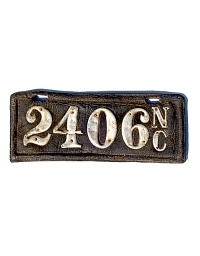 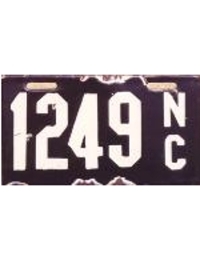 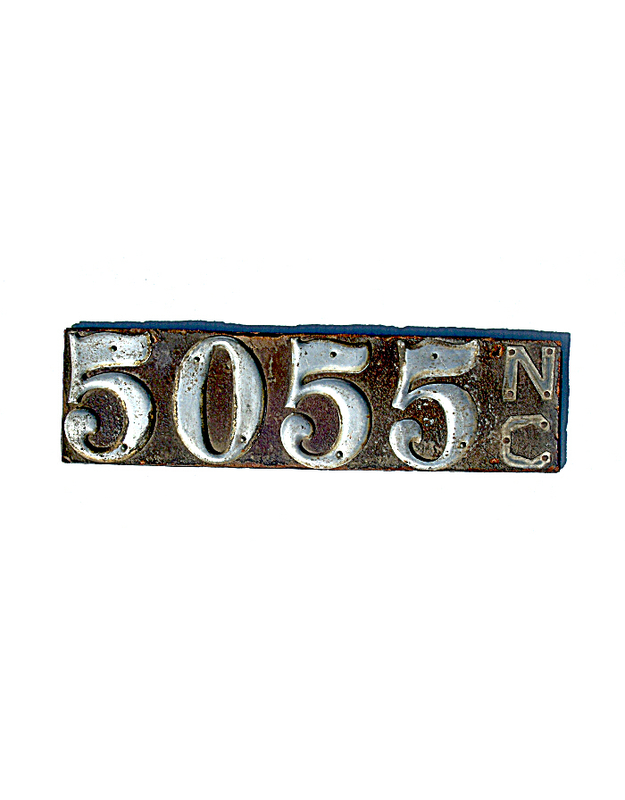 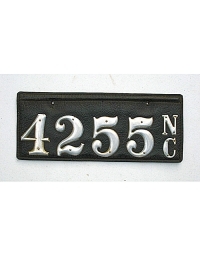 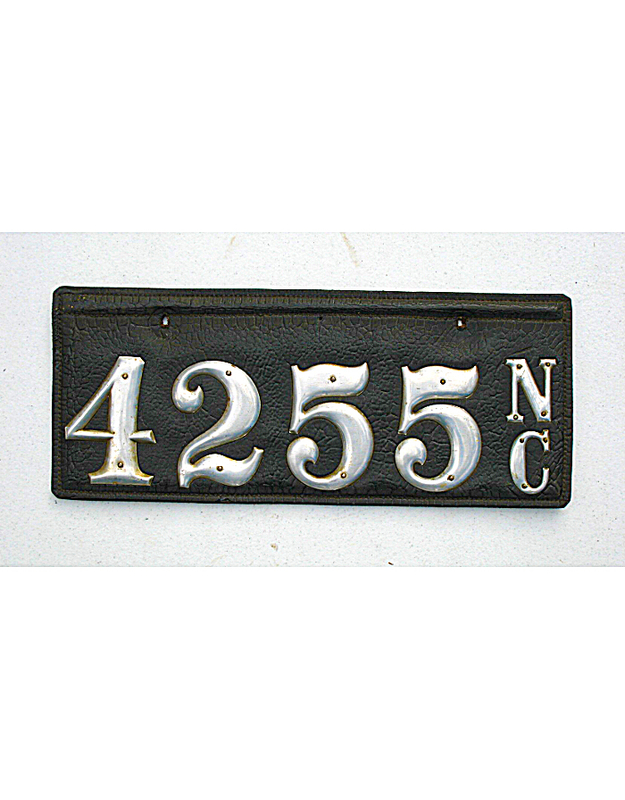 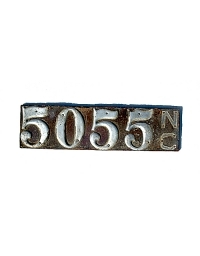 There are no known local license plates from any city or town in North Carolina from the pre-state years.